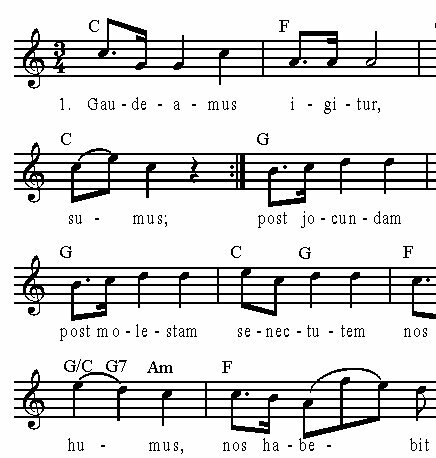 Sheet music contains the graphical representation of musical works. A musical work is graphically represented by means of musical notes or another kind of musical notation. Sheet music can be found on several carriers (for instance paper, microfilm of microfiche), or is digitally available. The collection of Musicology (MUZ) can be found in the University Library City Centre in section D, level -1. The reference collection can also be found in section D but on level 0. All sheet music and books can be requested via our catalogue. Do you know the name of the composer and the title of the composition? You are looking for the sheet music of the Sonata for piano and violin KV 30 by the composer Wolfgang Amadeus Mozart. In Search in All Fields, enter Mozart KV 30 (more search terms are not needed as these three are sufficient). You will be shown a list of results. Next click on Filter, go to Material Type and choose the option Printed music. The result: a small number of hits, of which most are relevant. You are looking for sheet music of the cantata Herr, gehe nicht ins Gericht BWV 105 by Johann Sebastian Bach. Enter at Search in All Fields: Bach gericht 105. A list of four hits is the result. Click on Filter, go to Material Type and select Printed music. The result: 3 hits, all of them relevant. Do you only have the title of the composition? Or do you only know a few words from the title? You are looking for the sheet music of Musique pour l'esprit en deuil (you have forgotten the name of the composer). Enter musique deuil at Search Title Words. You will be shown a list of results, apparently the combination of terms was specific enough as all results relate to the composition Musique pour l'esprit en deuil by the composer Rudolf Escher. Now click on Filter, next go to Material Type and select the option Printed music. Nowadays, lots of sheet music is also digitally available. Often sheet music is copyright free if the work or the publication dates back 70 years or more (however, this may differ per country). The IMSLP is a virtual library containing scores from the public domain (free and legally accessible). Besides, composers can deposit their works in this database if they agree with free dissemination of the compositions. Muziekschatten A selection of over 5,000 musical works from the Muziekbibliotheek van de Omroep (Music Library of the Dutch national Broadcasting Company) which you can download and print. Play or sing the works and send your takes to the virtual studio. Choral Public Domain Library (CPDL, also ChoralWiki) is a digital library containing scores of over 11,000 classical choral works which are freely made available under an open-source licence. The CMME Project This project offers new open access editions of important compositions from the period up to 1600, made by top scholars. You can choose from several kinds of musical notations.